I hope you’re all enjoying the first week of Fall. It’s slightly cooler here (like four degrees cooler), and I’m trying to keep my Fall spirits up by decorating the house, baking all kinds of fall goodies, and planning some trips to visit my favorite fall foliage spots. I know some of you are already having sweater weather and I’m so jealous! I’m heading to the midwest next week, and I’m excited because the leaves will have already started to change, and I’ll be able to break in the new boots and wear a cozy sweater. 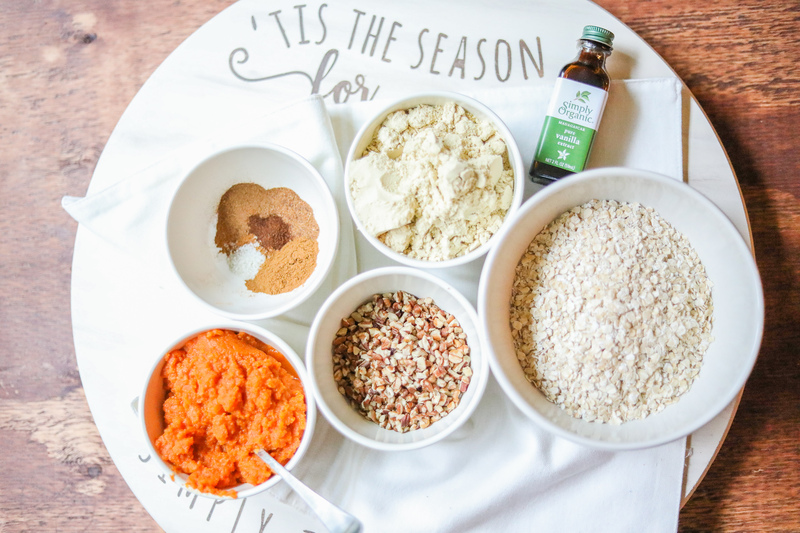 If you love pumpkin pie, you’ll want to print this recipe out! 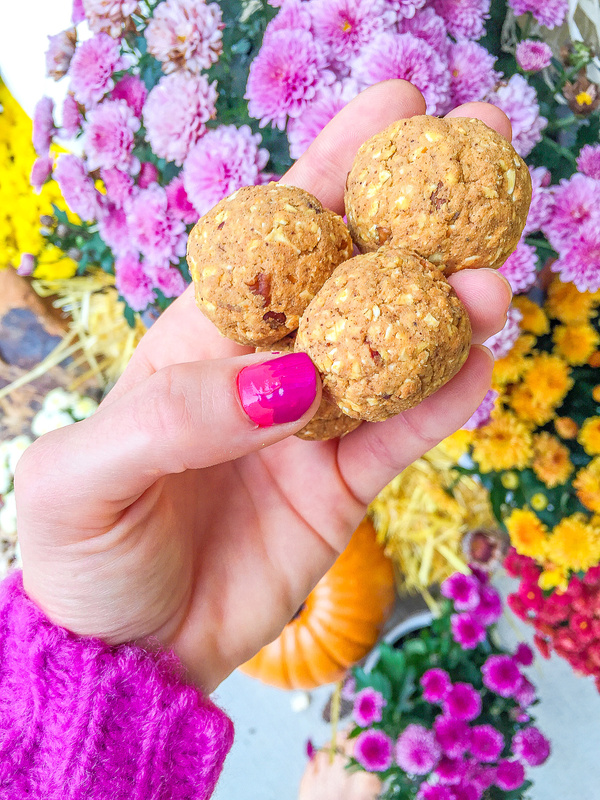 All you need is oats, pumpkin puree, cinnamon, nutmeg, cloves, ginger, sea salt, chopped pecans, plant-based vanilla protein powder (Orgain), and vanilla. These are much lighter than my normal protein balls because they are made without any nut butter. If you want these to be lighter, just leave out the pecans. They are optional 😊 Preferably, I love the extra crunch! If you like them to be a little sweeter, try adding a couple tablespoons of honey or maple syrup. You can make these in ten minutes! 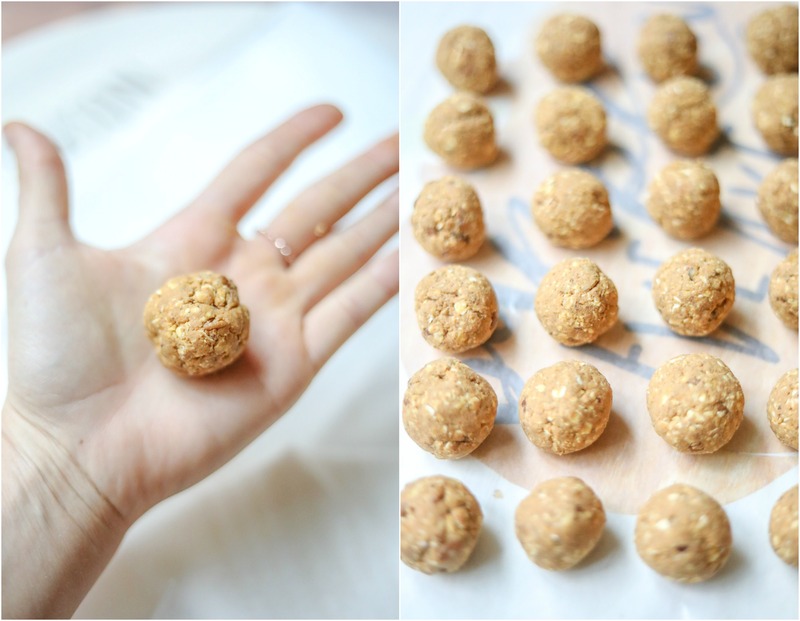 After the consistency is perfect, just roll them into tablespoon-sized balls. 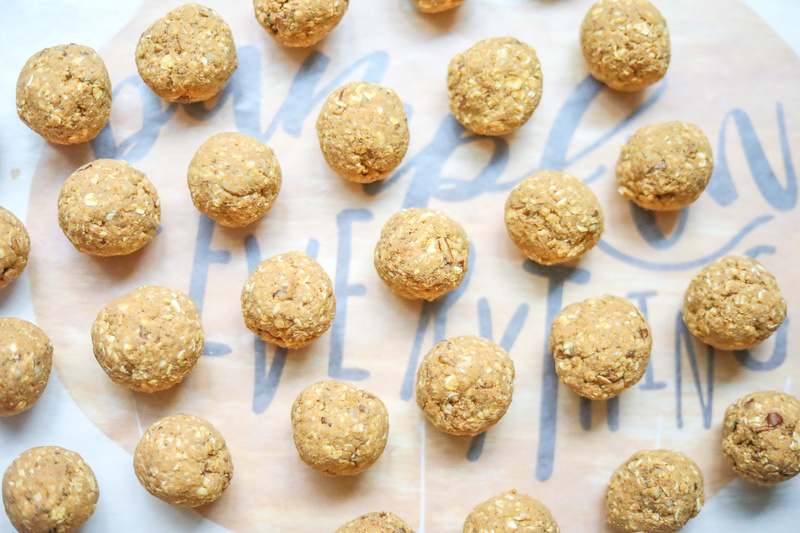 This recipe makes 24 tablespoon-sized balls. If you want to get real fancy, try drizzling white chocolate on top! I thought about doing that with dark chocolate, but that idea went out the window when I realized there were no more chocolate chips in the pantry. 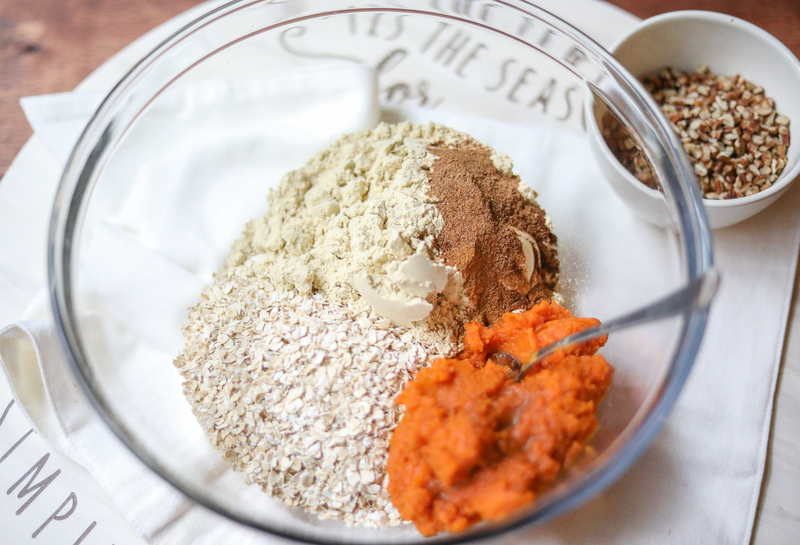 Add all ingredients to a large mixing bowl and combine. 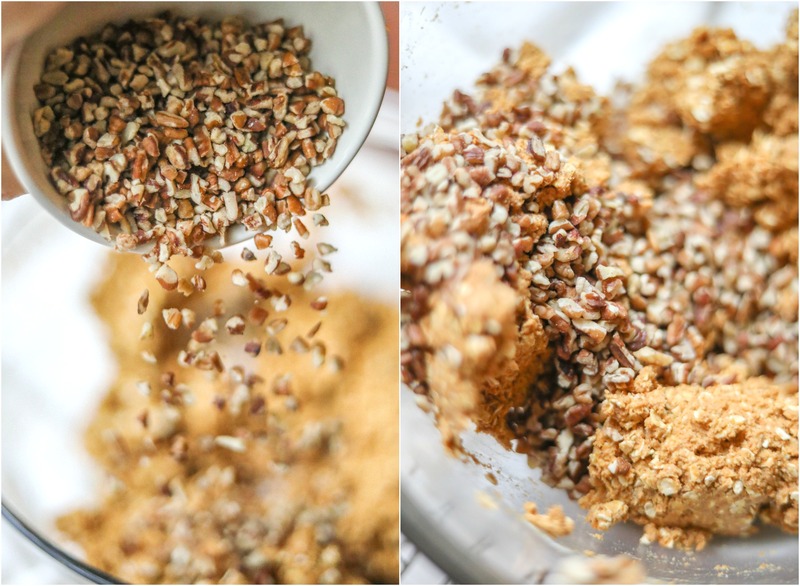 *If it's too dry, add more pumpkin puree, and if it's too soft, add more oats. 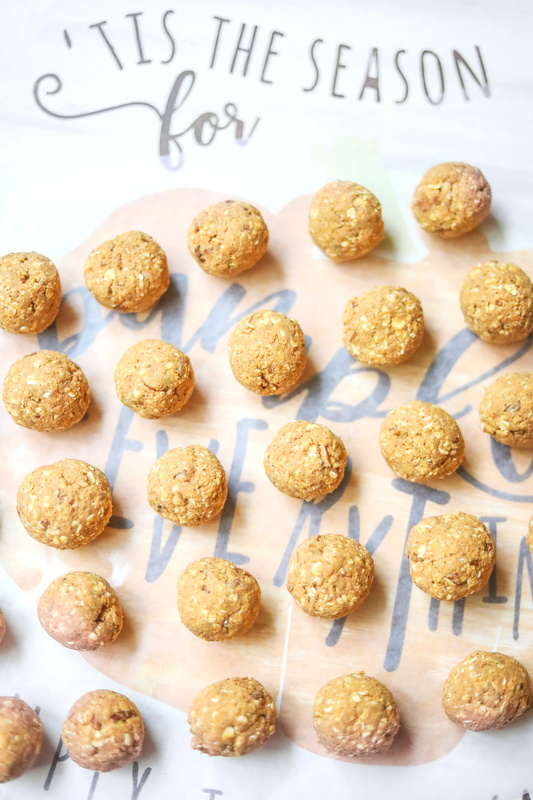 Roll the mixture into tablespoon-sized balls. Which flavor should I make next? Is it sweater weather where you live? Fun fact about me! I hated anything “pumpkin” flavored until I was in college! Have you always liked the taste of pumpkin? I just found this recipe online. I have a different protein powder I would like to use. What size is the scoop in your protein? Is one ball one serving? 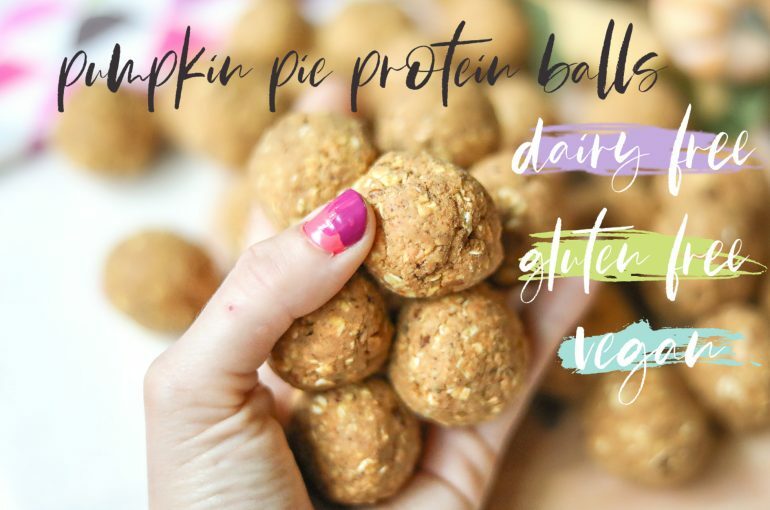 These look delicious, healthy and so easy to make, I’ll definitely give these a try! I just started dabbling with using protein powder and got the Orgain one you tagged here. Are there any others you like to use too? I also like the Garden of Life protein powder. We made these last night and the kids love them! We took your suggestion and drizzled white chocolate on top. I am going to make these for Thanksgiving instead of pie! This makes me so happy to hear, Rileigh!! How do u store these protein balls and for how long? It’s not quite sweater watcher here yet but we’re quite ready!! Buying these ingredients tonight along with vegan pumpkin spice stuff. What about like Apple cider or cider spiced balls?? Off topic, but when are you going to post the cvs giveaway winner? Thanks! Okay definitely making these this weekend…..
1. Which flavor should I make next? 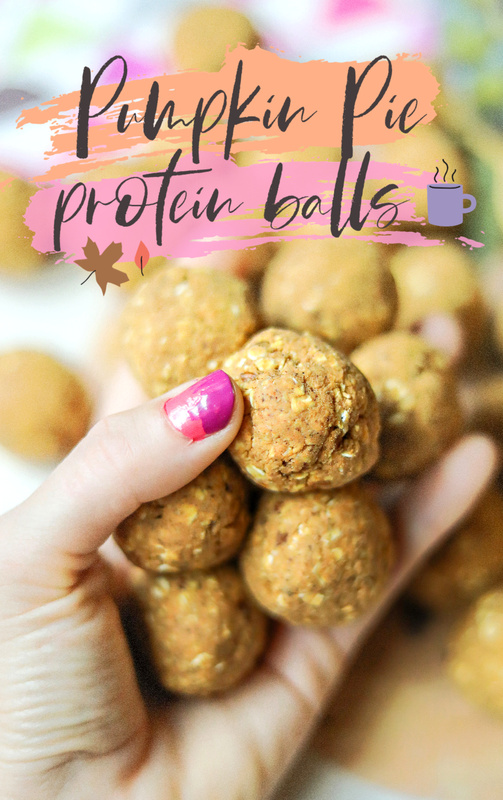 I would love it if you made a salted caramel (or salted caramel mocha) protein ball recipe! 2. Is it sweater weather where you live? Off and on. PA can’t decide, but that’s normal for this time of year. I like having fall one day and summer the next- that actually sounds like perfect year-round weather to me. 3. 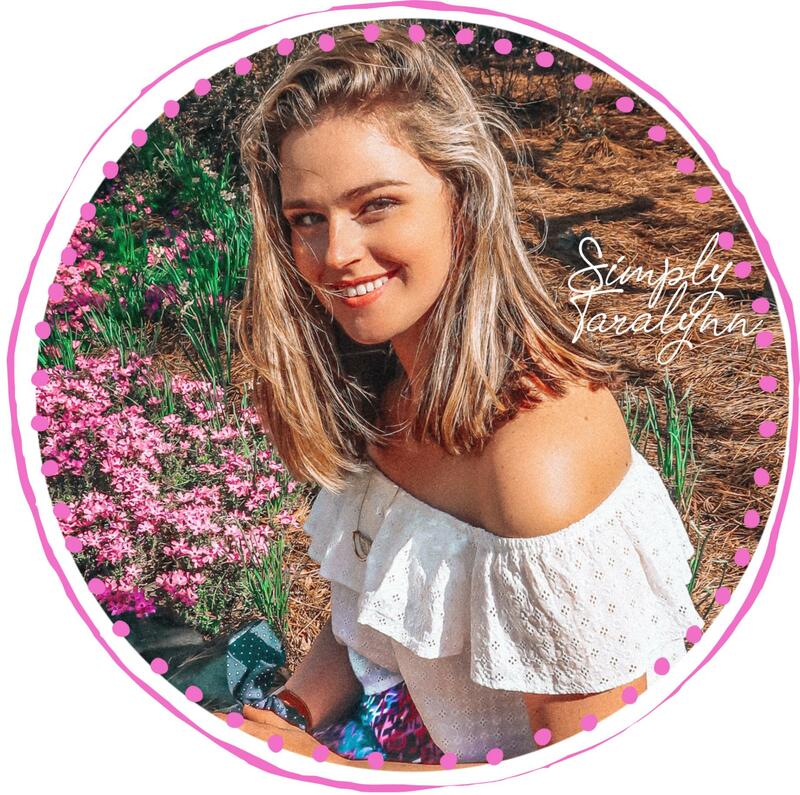 Fun fact about me! I hated anything “pumpkin” flavored until I was in college! Have you always liked the taste of pumpkin? ohhhhhhh yum!! I saw a caramel protein powder that may work for that! 1. I love anything chocolate – so I’d love to see a chocolate recipe (maybe pumpkin and chocolate)? 3. Yes, I’ve always loved Pumpkin. My Grandma always made the BEST pumpkin pies. My Husband and I made this Penzey’s version that includes pecan (hybrid Pecan-Pumpkin Pie) it was soooo Good!! I was thinking a hot chocolate one! I’ll have to check into those emails! I haven’t been too on top of them this week! Can I just say “amaz-balls”. These looks so good. Making them this weekend! 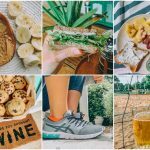 Your recipes never cease to amaze me. I think that would taste AMAZING. 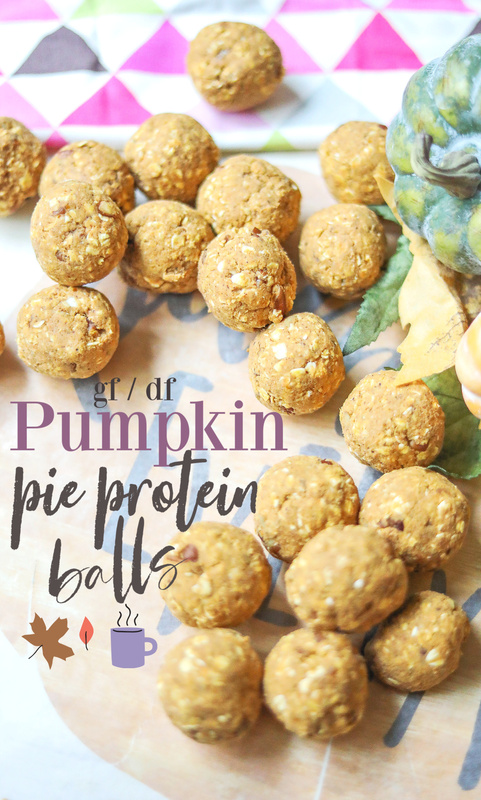 These were so easy and tasted just like pumpkin pie! Your flowers look beautiful and inspired me to go get my own! Do you get them at Home Depot? I did because they were $2 for $5! These look great! I love the idea of keeping something in the house you can grab easily. 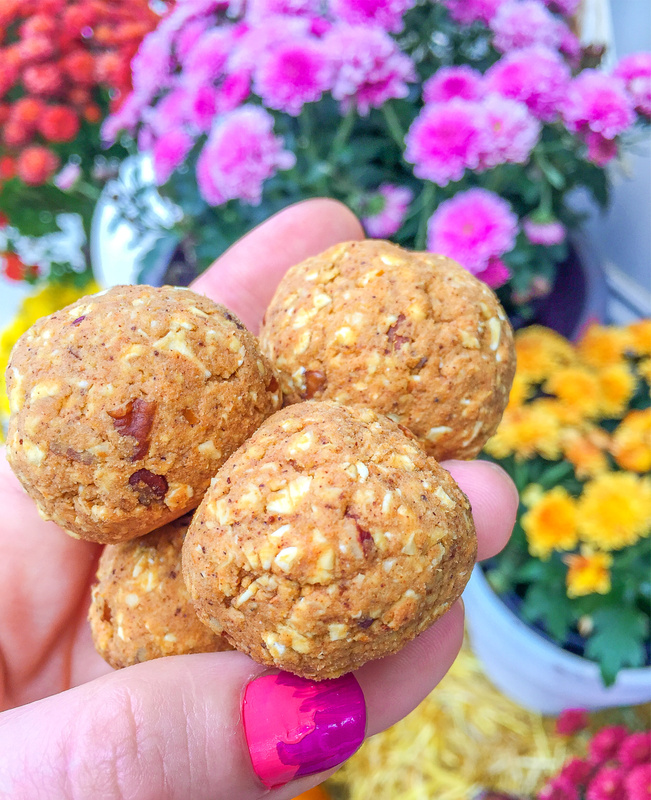 I’ve seen your other protein ball recipes and have been wanting to make them. 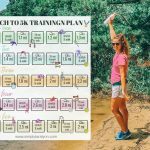 Is there something I can substitute for protein powder? Maybe almond flour? 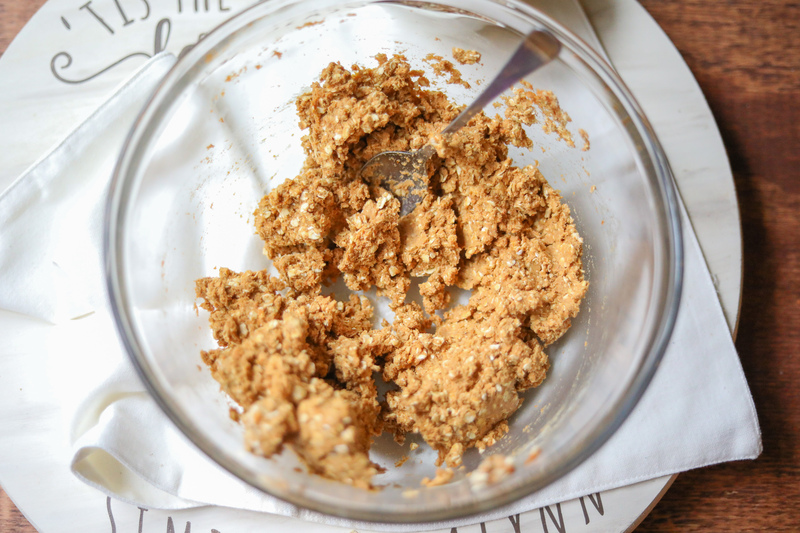 Instead of adding almond flour, try added half of the pumpkin!